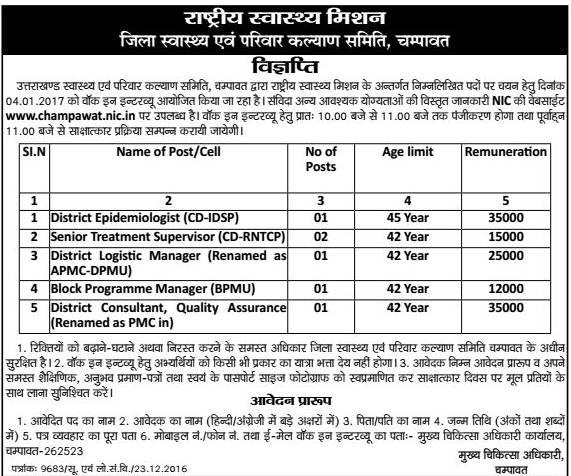 Uttarakhand Health and Family Welfare Committee, Champawat has released the advertisement for the recruitment of Medical Staff under National Health Mission. Medical Staff will be filled in Champawat district. Candidates can appear in walk-in on 03 July to 04 July 2017. As per the medical council of India (MCI), New Delhi. Candidates can appear in walk-in, on 03 & 04 July 201710.00 AM to 11.00 AM. Candidates are requested to bring all necessary documents with them. 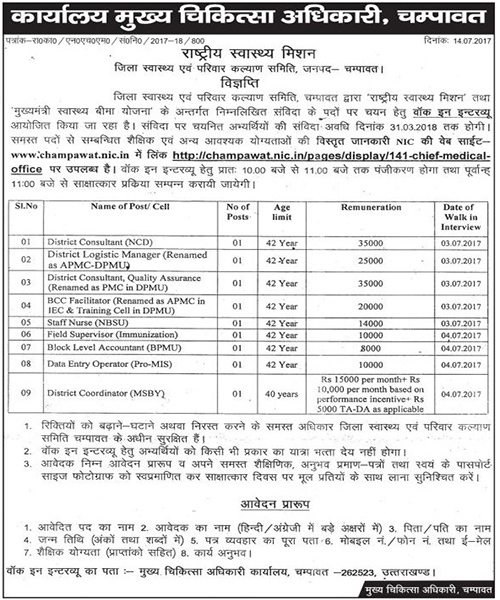 Help us to improve this article/job posting "Medical Staff Recruitment in Champawat". We would be glad if you can comment below and provide your valuable suggestions and feedback. If this page have any wrong information/list or out of context content, then you can report us as well.